The power grid is an essential element in the generation of electricity, transmission as well as distribution systems. 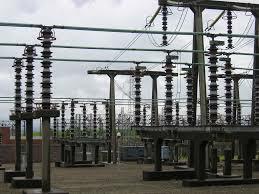 Electrical substations are mandatory for all the processes of the power grid. These are essential devices used to generate electrical power from the substations. By changing the levels of frequency, voltage, the required amount of electricity can be changed in substations for supplying electricity to customers. 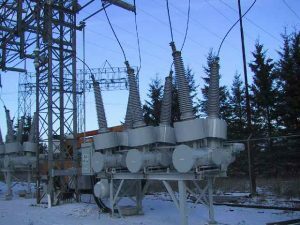 An electrical substation is categorized into various types, such as generation, pole mounted, indoor, outdoor, converter, distribution, transmission, switching substations. In some cases like thermal plant, several hydroelectric, and wind farm electricity generation system, one can notice the collector substation, which can be useful for power transfer from several turbines in the only transmission unit. The electrical power can be transmitted from the units of generation to distribution using various electrical substation components namely isolator, bus bar, power transformer, etc are connected together in the substation. 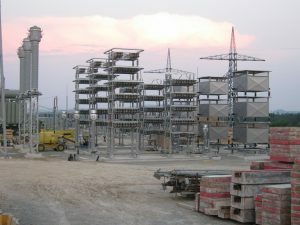 The electrical substation components are essential for installation of the substation. 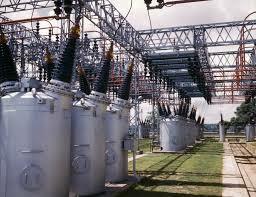 The substation equipment and their functions mainly include the following. The Electrical substation design is a complex method with full of engineer planning. The key steps in the substation designing include switching-system, Planning and placing of equipment, selection of components as well as ordering, support of engineers, structural design, the design of electrical layout, protection of relay, and major apparatus ratings. The main purpose of the power transformer is to step-up the transmission voltage at the generation unit & step-down the transmission voltage at the distribution unit. Generally for rating up to 10MVA (Mega-volt-Amperes) oil immersed, naturally cooled and 3-phase transformers are used. Similarly, for more than 10MVA (Mega-volt-Amperes), air blast cooled transformers are used. Such kind of transformer functioned at the full-load condition, and when it is at light load condition then the transformer will be detached. Therefore, the power transformer efficiency can be highest at the full-load condition. The main purpose of an instrument transformer is to decrease high current as well as voltages for a secure & realistic value. These values can be calculated with conventional devices. The range of voltage and current are 110 V, and 1A (or) 5A. This transformer is also used for triggering the protective relay (AC type) by providing the current as well as voltage. 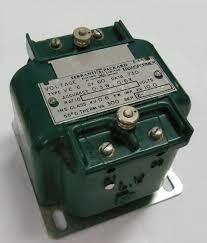 These transformers are classified into two types namely a voltage transformer and a current transformer. This transformer can be defined as it is an instrument transformer used for changing the voltage from a superior value to the minor value. 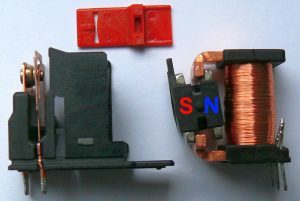 A current transformer is an electrical device, and the main function of this is to change the value of current from a superior value to the minor value. 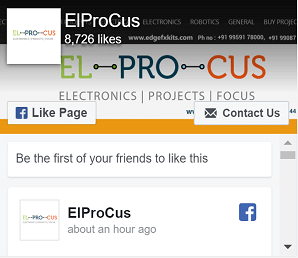 This type of transformer is applicable in meters, control apparatus and parallel by AC instruments. This is the first component in an electrical substation, and the main function of these components is to protect the components of the substation from passing high voltage as well as stops the amplitude and duration of the flow of current. The light arrestor components are connected among the earth as well as a line which mean parallel to the components under defense at the electrical substation. These components divert the flow of current to the ground and therefore protect the system’s conductor as well as insulation from harm. The wave-trapper is located on incoming lines to trap the high-frequency signal. This signal (wave) comes from the remote station which interrupts the current and voltage signals. This component trips the high-frequency signal and redirects them to the telecom board. This is a type of electrical switch, used to open or close the circuit when an error arises in the system. It includes two moving parts that are usually closed. When an error happens in the system, then the relay transmits the signal to the circuit-breaker & therefore their parts are moved separately. Therefore, errors occur in the system turns into clear. The bus bar is a very important component in an electrical substation. It is a kind of current carrying conductor where many connections are made. 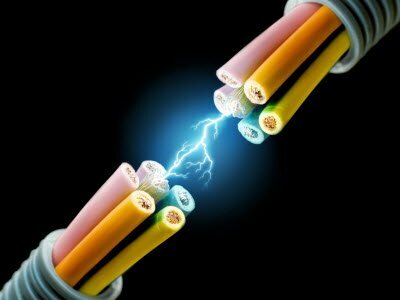 In other terms, it can be defined as it is one type of electrical connection where the incoming current and outgoing current take place. 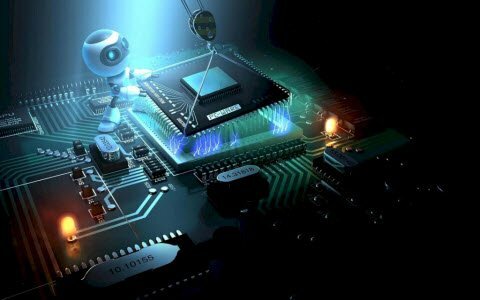 As the fault takes place in this component, then all the circuit components associated to the section ought to be tripped-out for giving entire isolation in the quick time so that the fault is neglected to the fitting because of conductors heating. The isolator is one type of electrical switch, used to isolate the circuit whenever the flow of current has been disrupted. These switches are named as disconnected switches, and it works under a no-load condition. Isolators are not inbuilt by arc-quenching apparatus, and they don’t have any particular current-making or current-breaking capacity. In some situations, it is used to break the current charging of the line of transmission. In large power stations or substations, the operation of lighting, relay system, or control circuits are powered by batteries. These batteries are connected to a particular accumulator cell based on the operating voltage of the particular DC circuit. 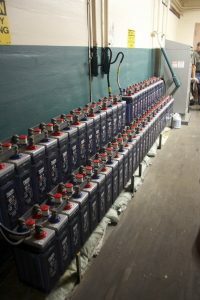 The batteries are classified into two types namely acid-alkaline as well as lead acid. Lead acid batteries are applicable for substations, power stations due to their high voltage & very economical low voltage. 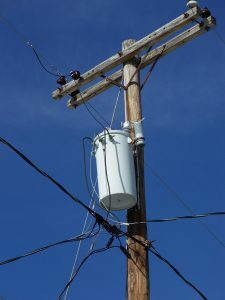 The switchyard is the inter-connector among the transmission as well as generation, & equal voltage is maintained in this device. 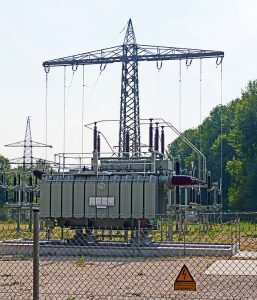 Switchyards are used to transmit the power which is generated from the substation at the preferred level of voltage to the near transmission line or power station. The relay is an electrical device, and the main role of this device in the substation is, it guards the grid component against the irregular conditions like faults. This is one type of detecting device, used to detect and determine the fault location, and then it sends the signal to the circuit breaker. After receiving the signal from the relay, the circuit breaker will detach the faulted part. 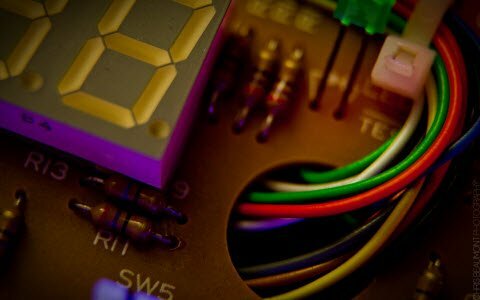 Relays are mainly useful for protecting the devices from hazards, damages. This device is inbuilt with capacitors that are connected either in series or else parallel. The main function of this is to store the electrical energy in electrical charge form. This bank draws primary current which amplifies the PF (power factor) of the system. 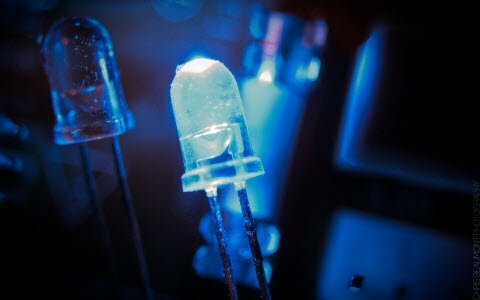 As a source, the capacitor bank works for reactive-power, and the phase-difference among the current as well as the voltage will be decreased. They will enhance the capacity of ripple current of the power supply, and it removes the unnecessary characteristics within the system. The capacitor bank is an efficient method for preserving power factor as well as power-lag problem correction. The carrier current apparatus is fixed in the substations for telemeter, supervisory control, relaying and communication. This system is correctly placed in a carrier room by connecting to the high-voltage power circuit. 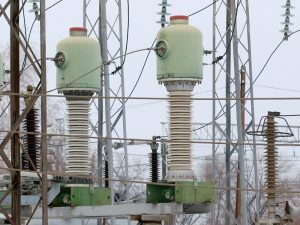 The insulator is used for insulating as well as fixing the bus-bar systems in substations. Insulators are separated into two types namely post type & bushing type. A post type insulator comprises of the ceramic body and the cap of this insulator is designed with a cast iron material. It is straightly connected to the bus bar. 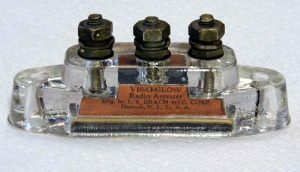 The second type of insulator (bushing) includes ceramic shell body, higher & lower locating washes which are useful for fitting the bus-bar position. Thus, Upcoming trends in the growth of technology have created progress in the installation of electrical substation as well as maintenance. 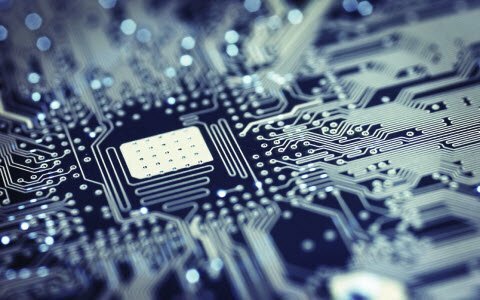 For instance, supervisory control &data acquisition (SCADA) automation made it achievable for controlling an electricity substation by design from a distant location. Here is a question for you, what is the 33/11kv substation equipment?